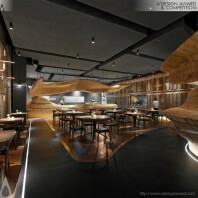 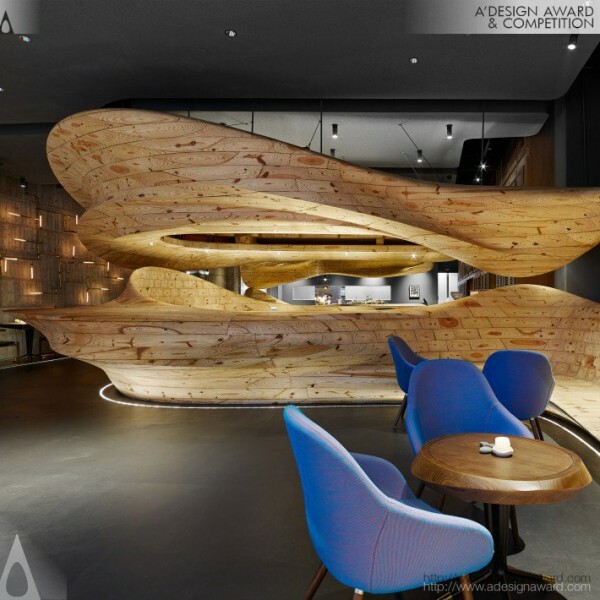 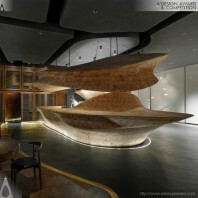 WEIJENBERG Pte Ltd, the author of the award winning design Restaurant:Raw Restaurant, Taipei by WEIJENBERG Pte Ltd says, The restaurant design tells a parallel tale about Raw and how chef André’s food can be experienced. 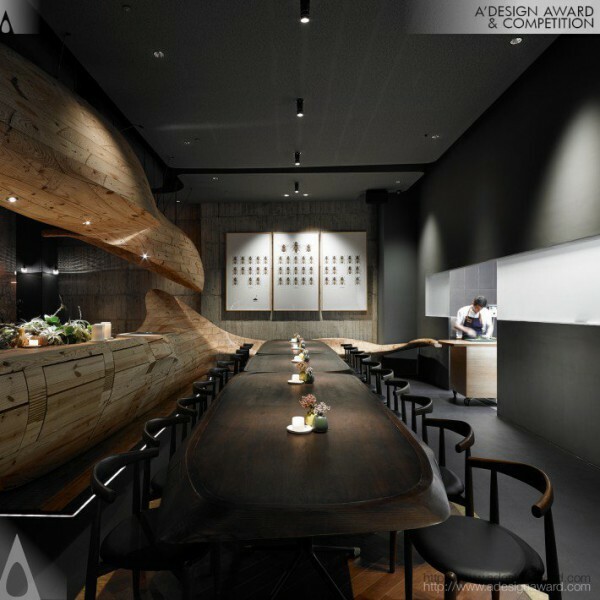 From the bustling streets of Taipei into the restaurant, diners step across a wooden path into a tranquil space welcomed by a lounge area which forms a gentle transition from the city. 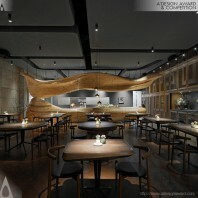 As guests enter the main space, the centralized dining area is surrounded by the wooden structure begun at the entrance. The wooden structure is the centrepiece of RAW, deliberately placed after examining the settings and dimensions, which is complemented by an interior that diners experience in stages..